If you glance at any woman’s magazine you will find page after page of tips and products to help you “look younger” or make your “skin firmer.” It is true we all want to keep that youthful glow… but if you are anything like me, you feel overwhelmed at the “how” and “where to even begin” on making that happen. That is why I am thankful for companies like Rodan and Fields who make it fool proof with amazing products and knowledgeable Consultants like Alicia Arellano who take the guess work out of finding your perfect skin care regimen. From the makers of the amazing skin care line ProActiv, Rodan and Fields Dermatologists is a social selling company that offers skin care for every skin care type. Whether you are wanting to reduce the signs of aging, clear acne, or soothe irritated skin, world-renowned dermatologists Dr. Katie Rodan and Dr. Kathy Fields have the formulation that is right for you. 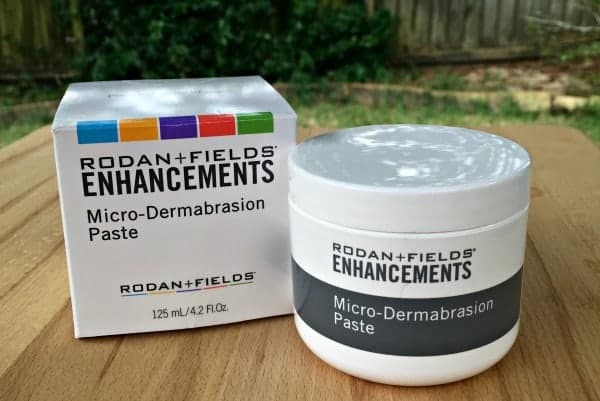 Independent Rodan and Fields Consultant Alicia Arellano sent me the Microdermabrasion Paste which helps to improve skin tone and texture with a gentle scrub. I have done microdermabrasion before – and because I always promise to give a true review, I was willing to try this… even though my first experience was not a great one. I did not think I had sensitive skin, but the product that I used before (from a salon) made my skin break out, turn red and feel very hot. 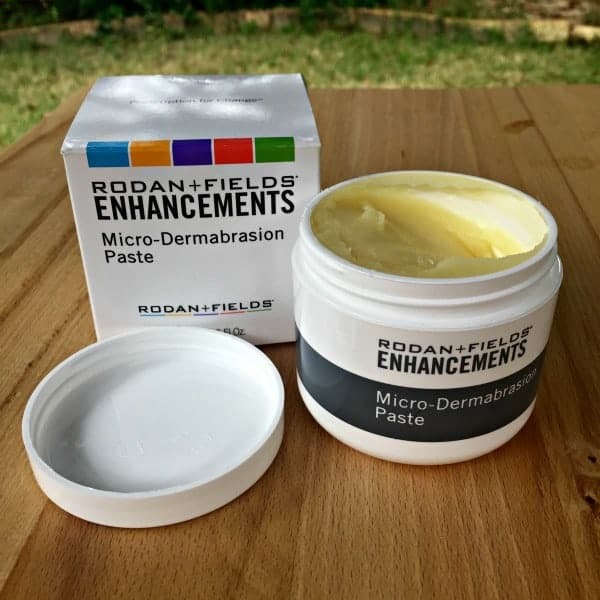 I was cautiously optimistic when I tried the Rodan and Fields Micro-Dermabrasion Paste, and just as I suspected I was pleasantly surprised. With Rodan and Fields my skin did still feel warm, but there was no burning and redness like I had experienced before. The paste smells delicious too – which I thought was interesting. The stuff I used before smelled like chemicals! This was a pleasant scrub that went on easily and washed off clean – immediately making my skin feel soft and smooth. I finished up with a great moisturizer, and my skin felt refreshed all day long. As a Rodan and Fields Hostess you can share with your friends a clinical grade line of skin care products from one of their specially trained consultants while earning free products for yourself! Joining the Rodan and Fields family gives you the opportunity to build a business helping people feel more confident in their own skin – how cool is that?